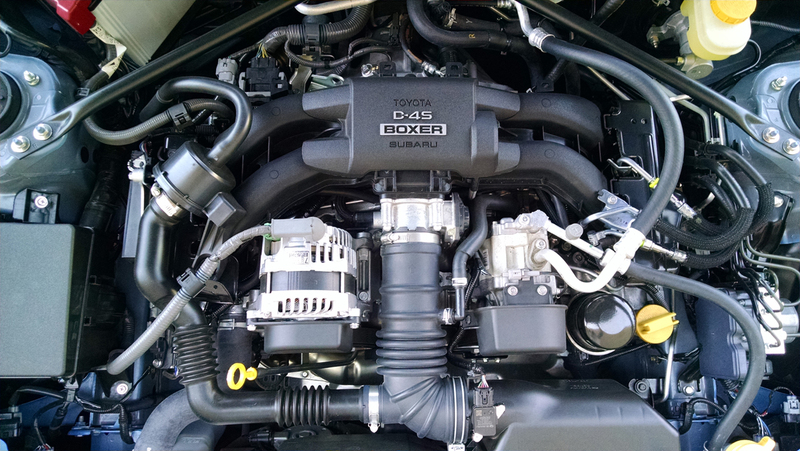 The Subaru BRZ and its companion Scion FR-S (soon to be Toyota 86 in the States) uses a unique version of the brand’s horizontally opposed four-cylinder Boxer engine. The 2.0-liter engine we have here features Toyota’s D4-S fuel injection system as of today still unique to this car. This high-performance tuned naturally aspirated Boxer produces 200 horsepower at 7,000 rpm and 151 pound-feet of torque at 6,400 rpm. Both peak points are relatively high in the rev range, nearing its 7,400 rpm redline. 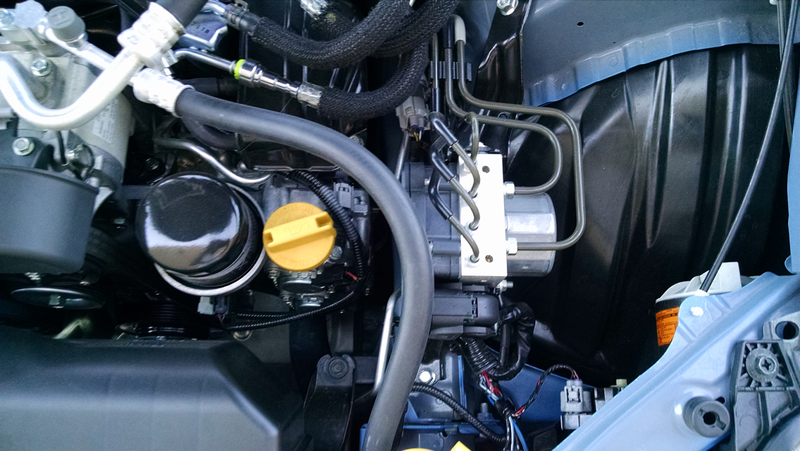 The D4-S fuel injection system utilizes both port fuel injection and direct injection. The computer can choose between one mode and the other, or it can use both together for maximum power output. The scenario enables the best of both worlds for combustion efficiency and power. 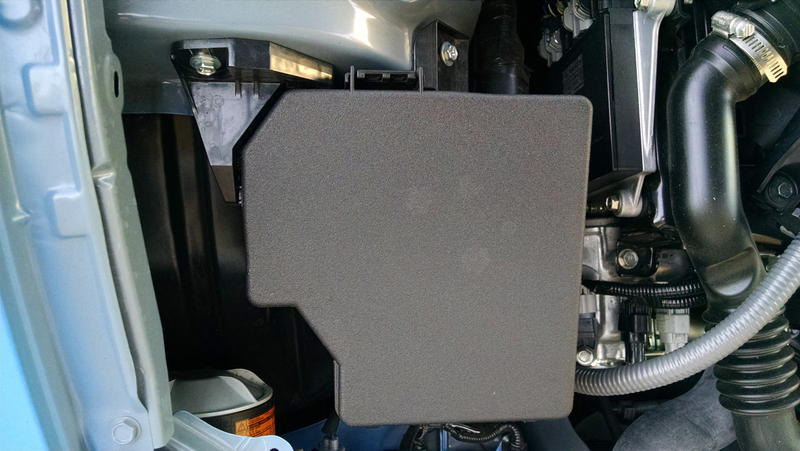 Following the air flow, the intake charge comes in behind the grille to the air filter mounted low at the front. 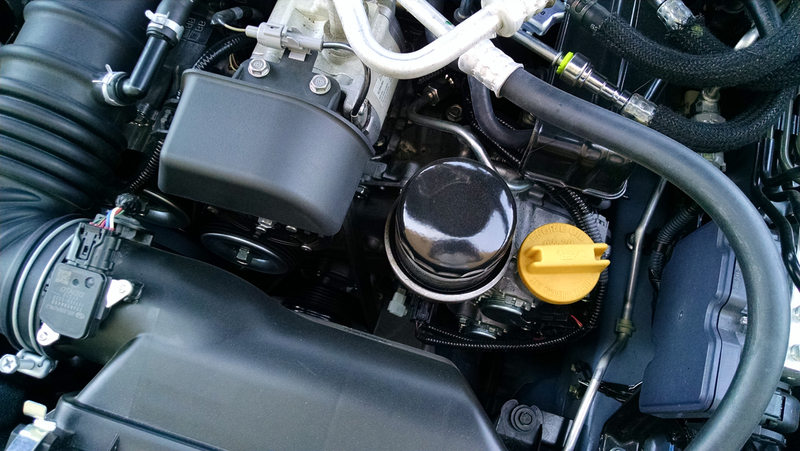 It then travels directly over to a single-throat throttle body and into the composite plastic intake manifold. 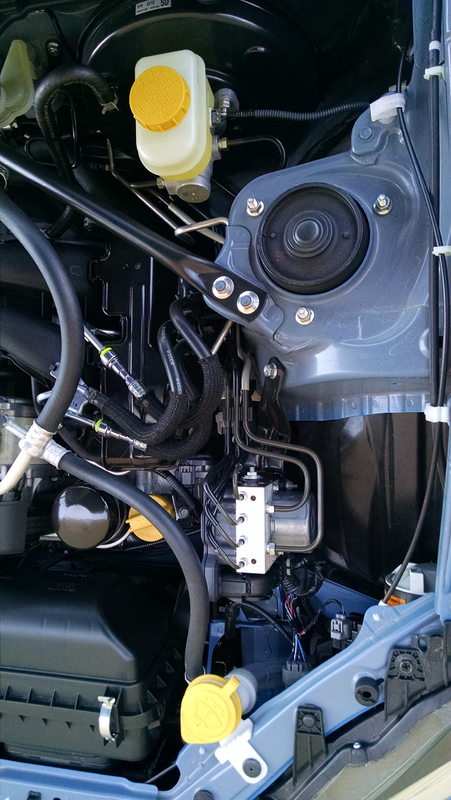 Its aluminum heads feature dual overhead cams for a total of four with both intake and exhaust cam timing variable. 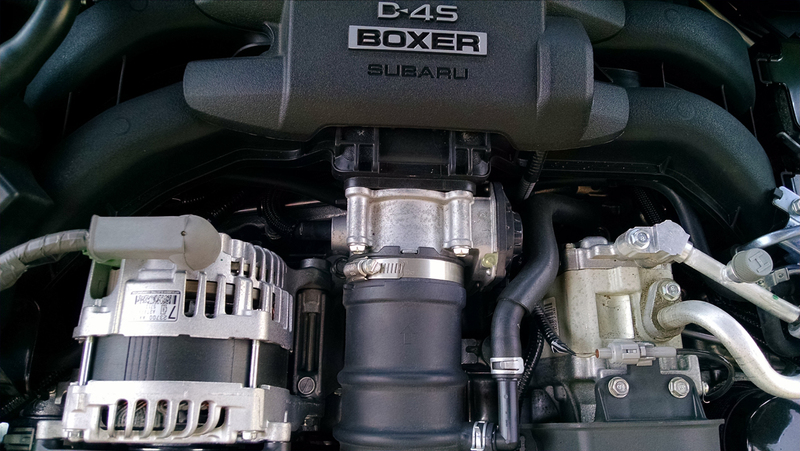 While it is a naturally aspirated engine, specifications still require premium fuel. A notable feature is engineered sound hardware under the hood. 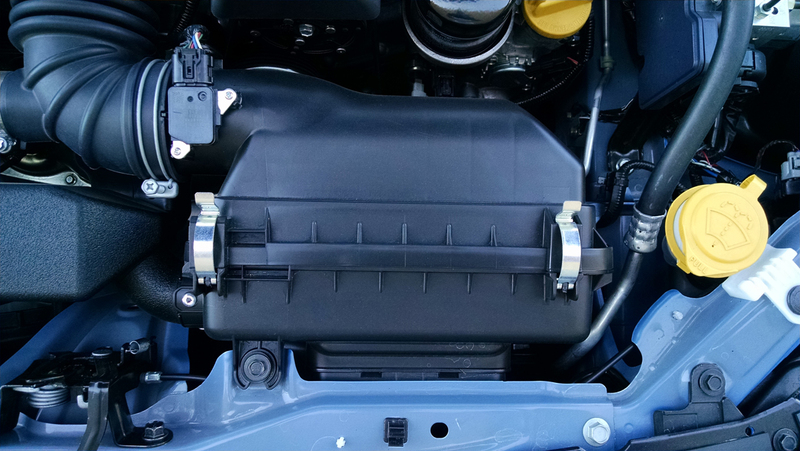 Coming off both the air box is a bass chamber and main intake features a sound tube and attenuator that routes its way circuitously to the firewall where intake thrum is transmitted into the passenger compartment. Looking around the engine compartment for service and maintenance locations shows a well organized engine bay. 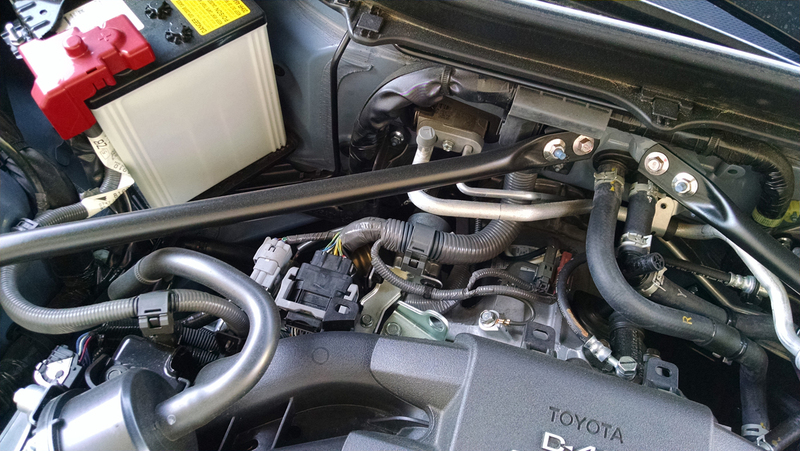 Oil dipstick is on the passenger side of the engine while the oil fill cap and filter both are on top at the driver side. 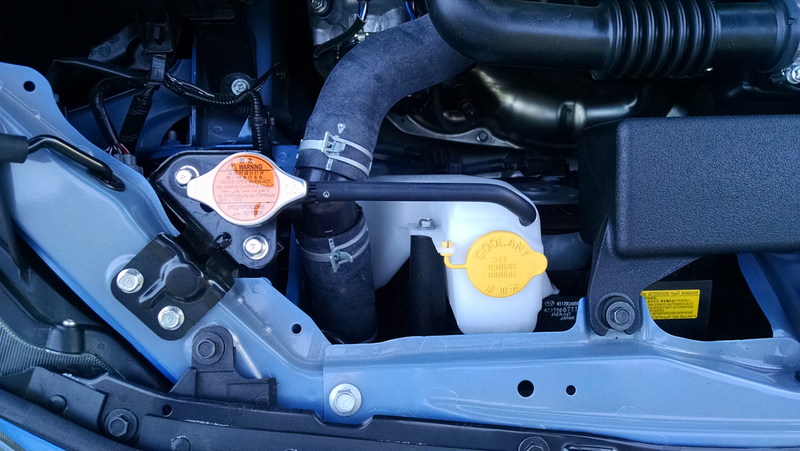 As our BRZ has a manual transmission the it has a reservoir for its hydraulic clutch up next to the brake fluid reservoir. Down low at the passenger side is the coolant reservoir, the main fuse panel and located up behind the shock tower is its 12-volt battery. Changing the air filter is easy right up front with the clips for the box right on top for easy reach. 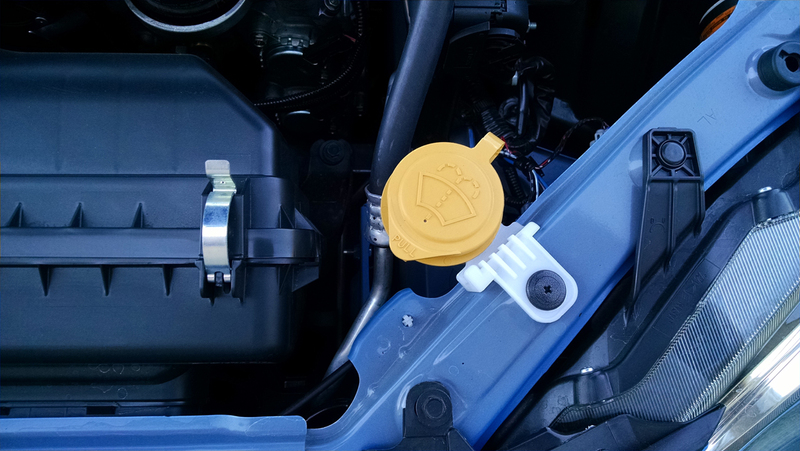 The windshield washer fluid reservoir can also be seen right next to it. 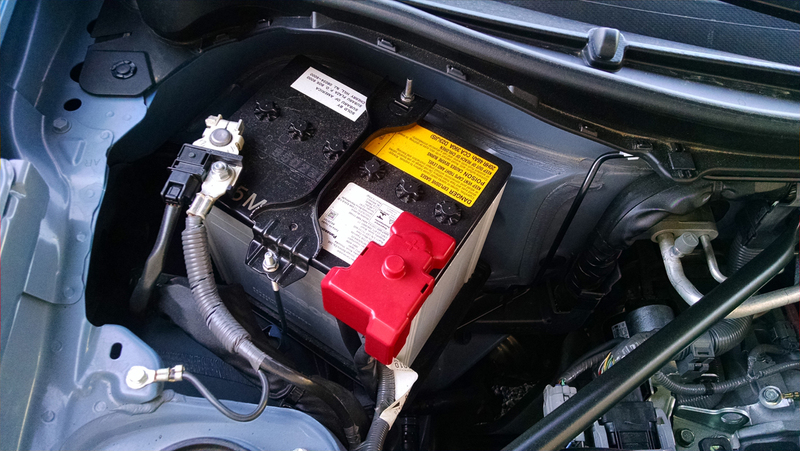 And while it won’t need routine service, the ABS controller is mounted high in plain sight. Another interesting note is the structural layout of the BRZ. While many will replace and toss these for a full cross-bar arrangement, it does come standard with strut tower braces on both sides. And camming down to the front, weight is saved by creating the wheel apron from plastic instead of metal. 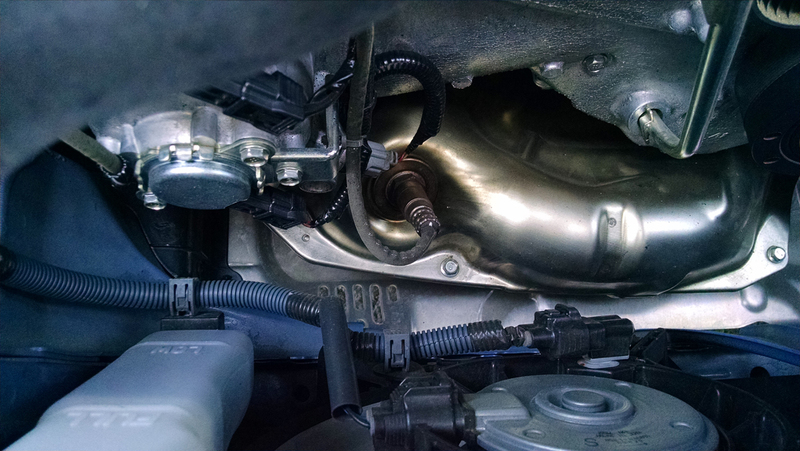 Lastly, this is the spot where a turbocharger would be if this used one of Subaru’s catalog of turbocharged engines. We’ve been told by its maker this car could never have a turbo because there simply isn’t any room. I think I disagree.